Flowers, and the fruits that follow, feed, clothe, sustain, and inspire all humanity. Flowers are used to celebrate all-important occasions, to express love, and are also the basis of global industries. Americans buy ten million flowers a day and perfumes are a worldwide industry worth $30 billion dollars annually. 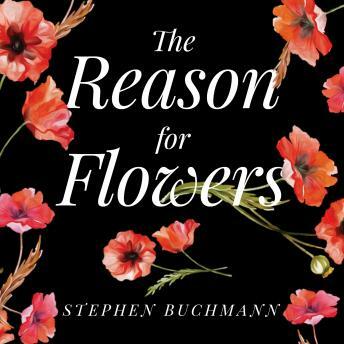 Stephen Buchmann takes us along on an exploratory journey of the roles flowers play in the production of our foods, spices, medicines, perfumes, while simultaneously bringing joy and health. Flowering plants continue to serve as inspiration in our myths and legends, in the fine and decorative arts, and in literary works of prose and poetry. Flowers seduce us-and animals, too-through their myriad shapes, colors, textures, and scents. Here, he integrates fascinating stories about the many colorful personalities who populate the world of flowers, and the flowers and pollinators themselves, with a research-based narrative that illuminates just why there is, indeed, a Reason for Flowers.